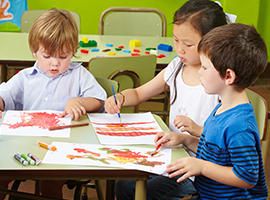 Private School Houston: Is Your Child Ready For Kindergarten? These days, there is a lot of pressure on parents when it comes to choosing the right time for their child to start kindergarten. This can be chalked up to the number of parents who are “redshirting” – the practice of purposefully holding back their child in order to help them to better succeed in their future schooling. This choice is leading to many parents wondering when they really should be enrolling their child, however. Do wait an additional year to ensure that their child is actually ready or should they simply bite the bullet and enroll? If you are going to have to decide whether or not to enroll your child in kindergarten in the next year, we’d like to help you decide if it is the right time. 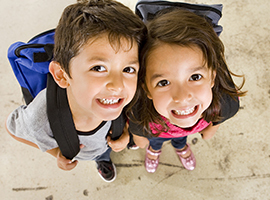 Discover some of the ways you can tell if your child is ready for school below! Your child is ready to start kindergarten if he/she can follow simple directions. If your child has always done everything you have asked, then let’s just say you are beyond lucky. In most cases, children do not behave all the time, or even close to all the time. However, if your child is soon to be a kindergartner, they need to be able to listen and take instructions from their teacher. Your child is ready to start kindergarten if he/she can sit still. While your child will not have to sit still all day long, they also should be able to do so for shorter amounts of time. For example, if your kiddo gets antsy three pages into you reading them a book, this will likely not go over well in their classroom. Your child is ready to start kindergarten if he/she is potty-trained. Your child should be able to recognize when they have to use the restroom and be able to take care of the process on their own, otherwise you may want to consider waiting to enroll them until the following year. Your child is ready to start kindergarten if he/she can recognize letters. Your child does not have to be a skilled reader by the time they start kindergarten but they do need to know what some, if not all of the letters in the alphabet look like. Your child is ready to start kindergarten if he/she has fine and gross motor skills. If you know your child has had plenty of experience running, jumping, holding a pencil and other actions they will be required to partake in once they begin school, they are most likely read to enter kindergarten. Your child is ready to start kindergarten if he/she gets along with other children. A huge part of going to school is having to interact with other kids. If you know your can successfully share and take turns, it may be time to enroll her or him. Your child is ready to start kindergarten if he/she can handle emotions. It’s not uncommon for a five year old to burst into tears, but it is also important that your child has the ability to cope with their emotions. Your child is ready to start kindergarten if he/she has a passion for learning. Having a general interest in learning is an extremely important trait for your child to have when beginning school. If you child seems stimulated by new information, they are likely ready for kindergarten. 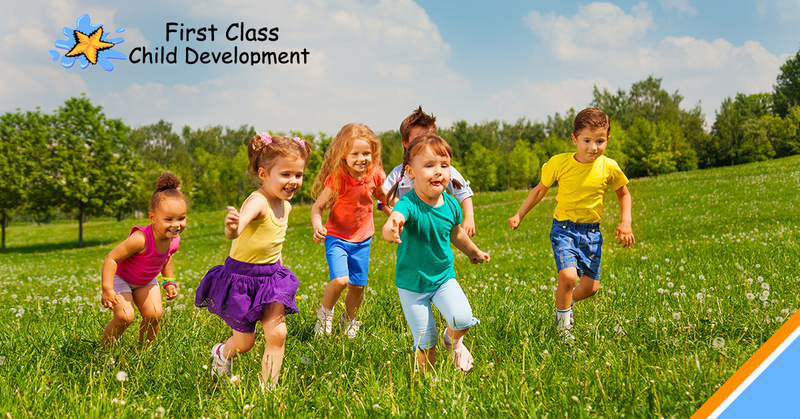 If you know your kid possesses the ability to succeed in kindergarten, forego holding them back a year and call First Class Child Development today. We can answer any additional questions you have.